Carpets are like brand new!!! Bradly C. says: Great job carpets look brand new I like the way Spiker works. 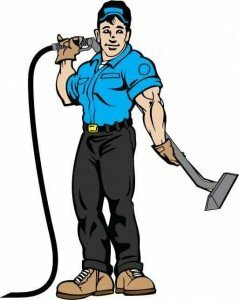 He explains the process wile making your home clean and safe for loved ones. Chris K. says: Its the second time we’ve used Spiker, and we had Brian again. This guy is amazing, and incredibly enthusiastic. He knows his stuff and is very friendly. As for the service, if there is dirt in your carpet he will hunt it down with ruthless efficiency like Seal Team Six. I came home and honestly thought we had new carpets. They’re quick, efficient, affordable, friendly, and knowledgeable. Five stars is definitely not enough. We look forward to working with them again. Dave C. Elk Grove Ca. You will not be dissappointed!!! These should be your carpet cleaning guys! I am so happy with the results of our carpets being cleaned by Spiker. Both times they’ve come to our house, they’ve been so friendly, prompt and do an excellent job. My little 950 square foot house is always done in an hour and they manage to be very thorough. Booking can be done online which is so convenient and prices are more than fair. I really feel like we got a good deal and highly recommend Spiker! Spiker did an awesome job cleaning our carpets! Brian let me know exactly what to expect and gave us tips on how to keep our carpets clean. My carpets were cleaned quickly and efficently. I’ll definitely be calling Spiker again. Give them a try, you won’t regret it! Thanks Brian! Just had my carpets cleaned by Gary from Spiker carpet cleaning. He was super friendly and even helped me move some furniture. My carpets turned out great. And trust me, they were pretty bad. I have 3 kids, 9,6, and 2 . so they spill a lot. I would definatly recommend them to anyone looking to get there carpets cleaned. I am big on small business and keeping my business local! These guys are hands down the best around! Very knowledgeable, excellent customer service, prompt, and get right to work! Our carpets have never looked better. Thank you for the excellent service! Will definitely be doing business with them again! A very thorough company that takes its time to explain their services and ways to make your carpet last. Gary did an excellent job getting the pet and kid stains out of our carpets. I will definitely use them again! They did a great job on the carpet. It looks like new. Very friendly/ helpful staff. Would highly recommend this company to any one that needs there carpet cleaned. Very happy!!!! Jennifer H. says: Gary the technician was awesome he made me feel very comfortable he was respectable , professional he got right to the job respected my home did an amazing job carpets look brand new and smell great. I will definitely use them again and tell my friends and family. Wonderful company thank you so much. Sidney M. says: Our carpets were very dirty with some pet stains. Gary did an outstanding job, would have them back again. Couldn’t be happier and exceeded my expectations! Gary was great in explaining everything about carpet care and preventing allergens. 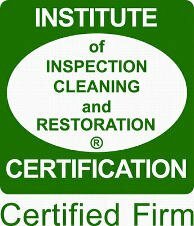 I would definitely recommend them for your carpet cleaning! By the way the 12 year old carpet looks new now! Thanks Spiker! I had the pleasure of having my carpets cleaned by Brian today!!! He arrived at my house early & did an outstanding job. He gave me more than I paid for with a smile. My carpets are extremely clean & smells wonderful. I recommend this company & choose Brian! He also gave a wealth of information on how to get spots out of my carpet!!! He is top notch!!! !